Keeping it Real! 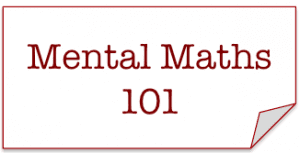 Math Questions Your Teen Will Want to Answer! Keeping it Real! 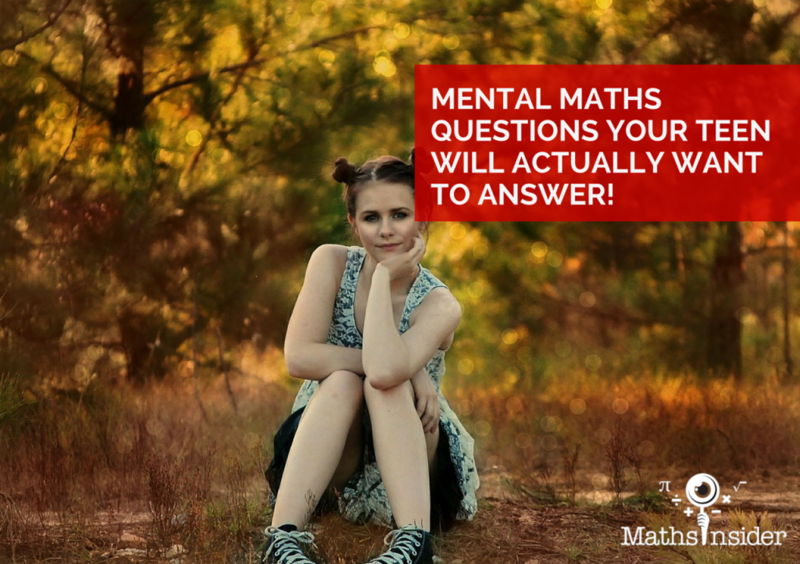 Mental Maths Questions Your Teen Will Actually Want to Answer! If you have a teenager (or a pre teen) at home, you’ll know that their willingness to discuss maths questions with their parents often decreases exponentially as their hormones levels increase! 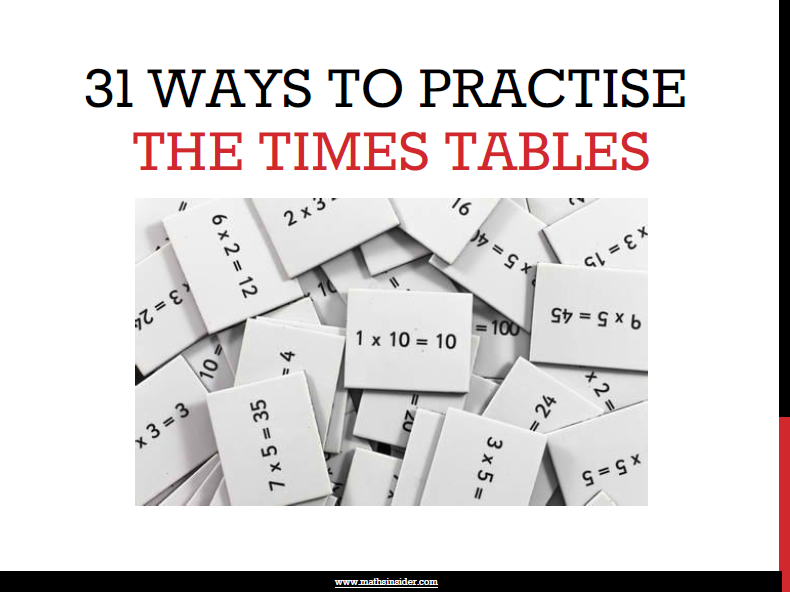 Even for those teens who like maths, it can become a become a subject full of complex equations and abstract ideas. Does your teenager like performing mental maths? 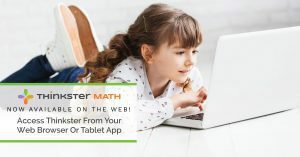 It seems to be a dilemma, as students are given more opportunity to use calculators and computers in the classroom (Did we get to use a calculator?). 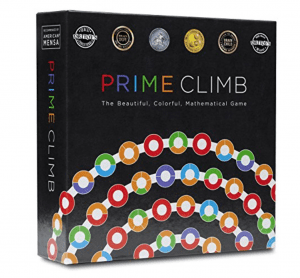 For teenage math students to be truly well-rounded, they need the mental skills to perform basic math calculations without the aid of a calculator, pencil or paper. The problem is getting the students to take an interest. What if they actually enjoyed that aspect of math? It can be a lot of fun. One tool that is helpful is to use real world word problems. When teenage students are given problems that are applicable to their issues and interests, they demonstrate far more involvement than when asked, “What is 24+37?” Presenting problems on math worksheets and in class and homework around jobs, money, cars, music icons, mobile phones, etc. can really pique their interest and generate some conversation. What if we asked the same question in this format, “Two football leagues are going to merge into a single league. The Spanish football league consists of 24 teams. The English football league consists of 37 teams. How many teams will be in the new football league?” Which question do you think would motivate students more? Students frequently fail to see the applicability of their studies to the real world. Word the math problems so they do apply. Estimation can be a useful tool, and sometimes, estimating is enough. When a teenager is checking their answer, it can be useful to round to factors that are easier to deal with and then compare the results. For example, when attempting to multiply 48 x 103, by multiplying 50 x 100 = 5,000, the student is aware the answer should have 4 digits and be in the neighborhood of 5,000. Some real-world problems are too complex to be solved precisely and estimation is the only practical option. When comparing two options, the disparity between the two options may be great enough that estimation is sufficient to make an appropriate decision. Estimation is a frequently underutilized tool. 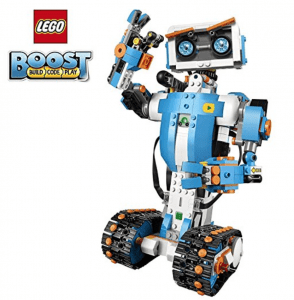 Develop some ideas around your child’s interests. Include the names of current movies, current bands, pop icons, etc. 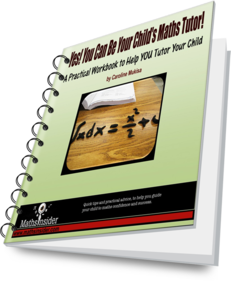 in your mental maths and watch your teenager’s interest soar. This is where some conversations with your teenager can really pay off. Ask them about their favorite music, favorite actors and movies. Really listen to the conversations between them and their friends. Any mental maths around mobile phone related issues are always popular. 1) Justin Bieber has asked Michael (your teen to dance in his latest music video. If Michael is offered $22,000 to dance in a 4 minute video, how much will he be paid per minute of video? A) 500 free text messages per month, and each additional text is $0.10. B) You also have the option of paying $0.01 for every text message. C) If you send/receive 650 texts/month, which is the better plan? How many text messages would it take for both options to be equal? 3) LeBron James is paid $14,500,000 for an 82 game season, is that more or less than $150,000 per game? 4) Steve and Sarah (teens) start a dog walking business, charging $5.75 per dog walk. If each walk takes an average of 12 minutes, and the average travel time between customers is 18 minutes, how much would they earn (total) in 3 hours if they worked separately? 5) If Sandra Bullock drives a $175,000 Ferrari, and the insurance is $8,500/year, approximately what percentage is the insurance (per year) of the cost of the car? 6) If Emma Watson, (Hermione from the Harry Potter Movies) earns $13 million for a 120 minute film, how much does she earn per minute of screen time? 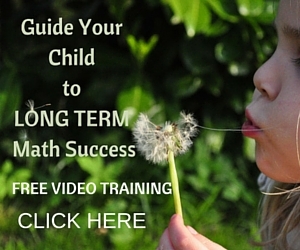 Teachnology helps 1 million teachers, homeschoolers and parents every month. They provide printable teaching resources and lesson plans. Like this? Then hit the Facebook Like button below! 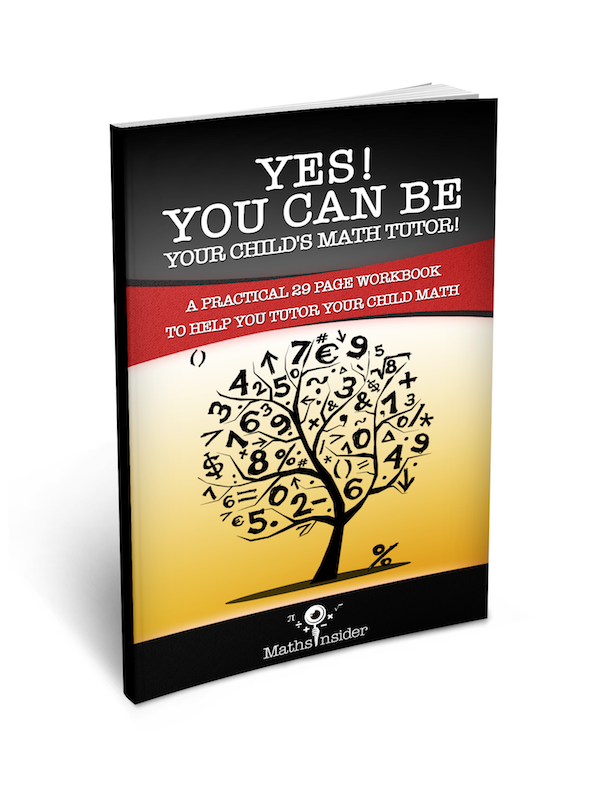 How do you get your teen excited about maths? Share your comments below! Wow, this is a cool site. My son just started doing horizontal math and I’m having heart palpitations. That’s not how I learned and new math scares me!! This is a great resource for parents. Glad you like the site! Yes it is scary when our kids are using maths methods which are different to the way we were taught! One tip I have on that is to get your son to “teach” you the new method – kids love being the teacher sometimes! Thanks for calling over and leaving a comment at my blog. Very informative site … and a must visit by all parents with young families. Great tips for motivating teens. It is a challenge because ‘they know everything’. I’m going to try some of your suggestions. Thanks. Oh my did I hate maths when I was a teenager!!! I have quite a lot of older friends with teenagers (or there abouts) who would love this advice – in fact would love this entire site! I’ll pass it on. Sorry that you hated maths as a teenager. I hope it’s now being a lot kinder to you! Do you still hate maths! 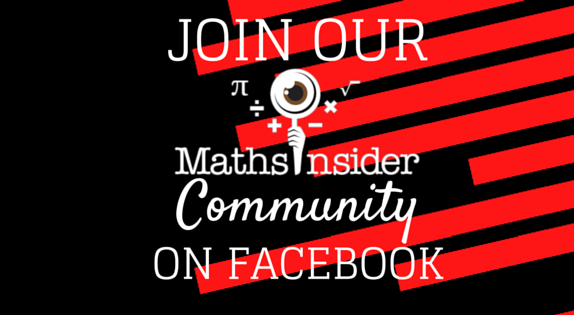 Thanks for spreading the Maths insider love to your friends!